We have all had that embarrassing moment when we confidently sang the wrong lyrics of a song. Next time, save yourself the embarrassment with Genius, an app that displays song lyrics in real-time. 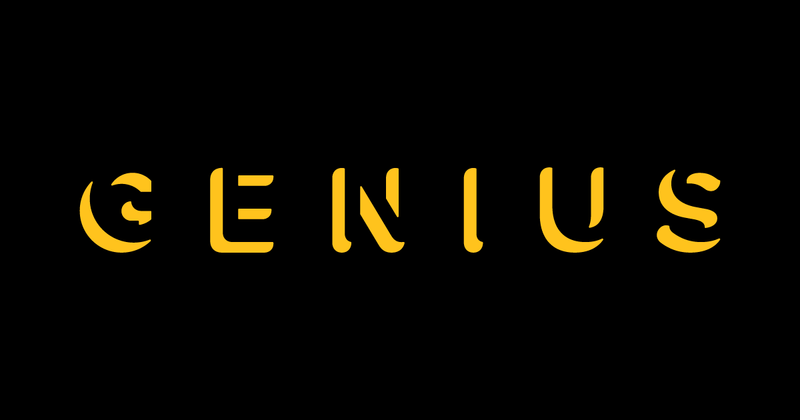 Genius is a crowdsourced knowledge base for music lyrics and texts. Formerly known as “Rap Genius”, it started out in 2009 as an online platform where rap fans around the world could post and interpret rap music. It has since then rebranded itself as simply “Genius” to reflect its expansion into other genres of music and even non-musical texts — quotes and speeches that made history, TV scripts, poetry, etc. In 2015, Genius launched their Android app that provides users easy access to their massive collection of over 1.7 million song lyrics. Currently, the app focuses on just music. Other kinds of texts should be added pretty soon. Formerly known as “Rap Genius”, it started out in 2009 as an online platform where rap fans around the world could post and interpret rap music. 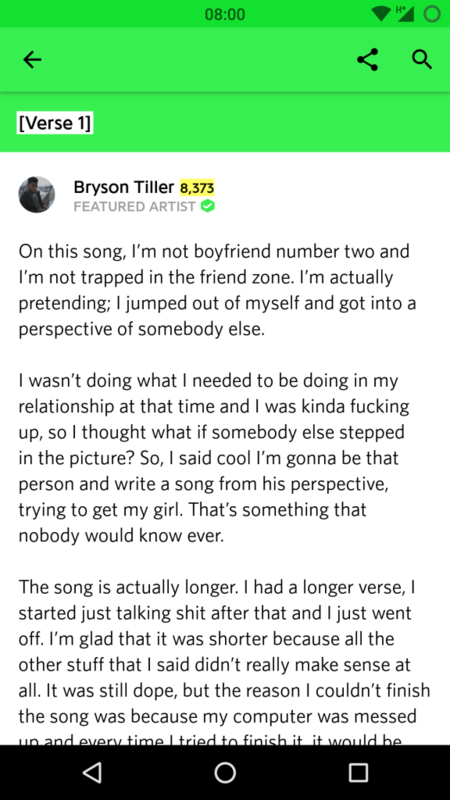 What makes Genius stand out from other lyric sites is that it is community-driven. It is an online community where music fans can connect and collaboratively discuss primary sources. It allows users to insert and edit annotations with historical facts and information. More so, Genius employs verified accounts. 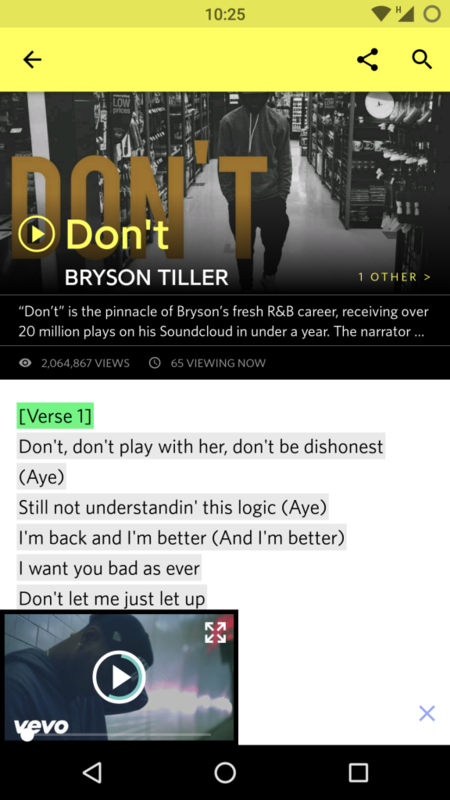 Verified artistes annotate, moderate and correct their own lyrics. Sound like a service you know? Yes, you may think of it as a Wikipedia of sort that attempts to slice and dice texts of significance in pop culture. One thing I hate about the UI is the eye-burning, migraine inducing yellow accent color. Genius includes a music recognition feature that identifies music playing in your background and fetches the lyrics accordingly. 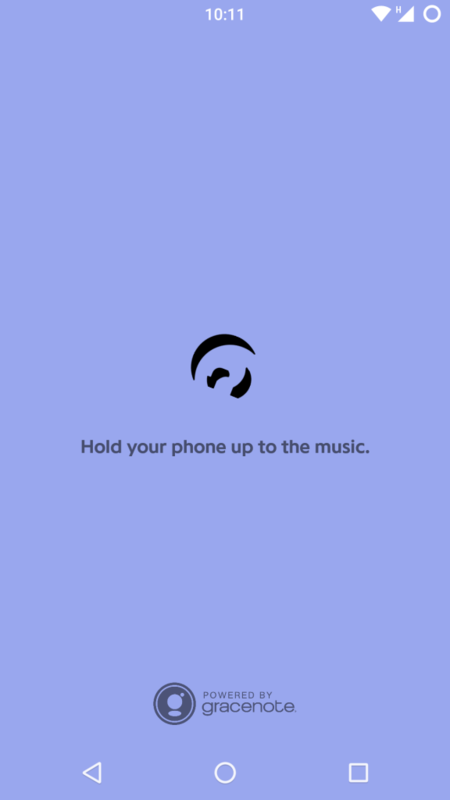 To use this feature, bring your phone closer to the source of the music playing and tap the floating sound wave button at the bottom left. Currently, this feature is a bit of a hit and miss and doesn’t work reliably all the time. From my experience, you’d have to try several times for it to work. For an app that’s relatively new, it does a decent job. 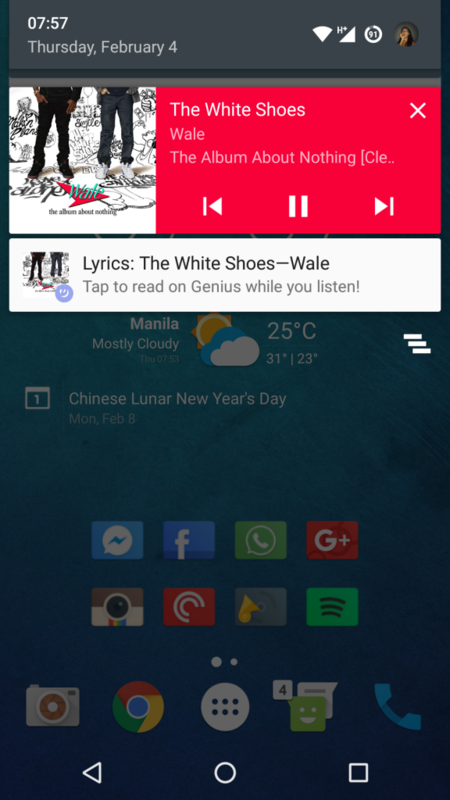 In addition, Genius features the ability to detect any song currently being played on your device and provides a notification which when tapped opens the lyrics in the app. The best part of the app that it is compatible with any music player including music streaming services like Apple Music, SoundCloud Spotify, SoundCloud as long as the track is available in their database. To use this feature allow notification access for Genius in Settings -> Notifications -> Notifications access. If you like singing along while listening to music, or want to know the meaning behind song lyrics or love analysing lyrics, give Genius a try. It is free and legit.